The fate of some of Australia's most loved forests and iconic wildlife will be decided in coming months. 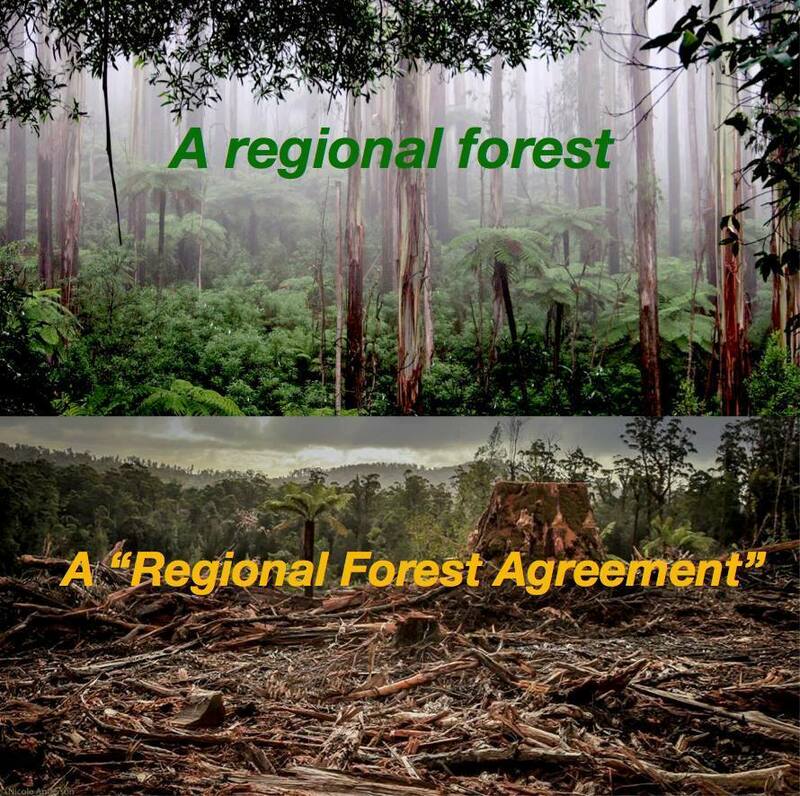 Will native forest logging continue to be exempt from federal threatened species laws under the 'One Stop Chop' RFA regime? Or, for the first time in 20 years, will logging have to comply with Australia's environment laws like every other industry? Under the 'One Stop Chop' regional forest agreements (RFAs), the Commonwealth government has devolved its responsibility for native forests and wildlife to the states. Provided the logging is carried out 'in accordance with' the RFA, state logging agencies decide how much public native forest to log and under what rules. Unlike all other industries, it is exempt from federal environment laws. RFAs have failed to protect the environment or serve the best interests of the community or industry. Every week more wild forest gets the chop and iconic species like Leadbeater’s Possum, the Greater Glider, Swift Parrot, WA's Black-Cockatoos, the Koala, together with a host of lesser known plants and animals, are driven closer to extinction. RFAs were signed in the 1990s and intended to last for 20 years. They are due to expire in the next 12 months. The Commonwealth has already extended the Tasmanian RFA to 2037 and the NSW RFAs to 2039, effectively making them permanent. Negotiations with the WA and Victorian governments are under way. Groups across the country are campaigning to protect native forests and abolish RFAs. Public support has collapsed. In Victoria, the landmark Possums Case launched in November 2017 is testing the legality of the native forest logging exemption from federal environment laws. A win could transform the future for our forests and wildlife. Read more about the Possums Case, the forests and regional forest agreements. Join up with a group near you, join in the campaign, support the Possums Case with a donation. As the RFAs reach their use-by dates we have a once in a generation opportunity to end the forest wars.